John Robert Redding, 91, died peacefully on October 22, 2017 in Tulsa, OK. John was born on January 16, 1926 in Little Rock, AR. He grew up in Corinth, MS where he was active in scouting and became an Eagle Scout. He served honorably in the Navy and later graduated from the university of Alabama where he was a member of Sigma Chi. John worked as an advertising director for over 30 years at 3 large multi-state companies in Houston, New Orleans, and Tulsa. 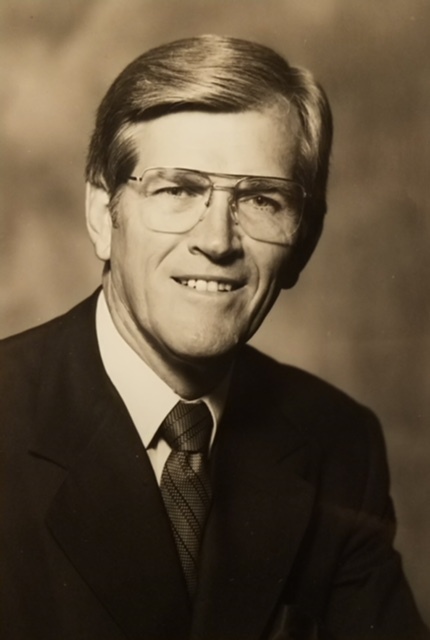 Active in his profession and his community, he served on numerous boards in Tulsa while pursuing his avocations of sailing and art and his joyful marriage of 57 years to his wife Betty. John was preceded in death by his wife Betty and brother William Holman Redding. He is survived by his son Davis Redding (Sonja) and daughters Becky O’Neal, Lois Ellis (Lou), Amanda Davies (Chuck), and Suzy Gammill (Jerry); his 7 grandchildren Bailey, Taylor, Grady, Grace, Adam, Olivia, and Jewel; and his great-grandchildren Zander, Liam, and Lilah. A memorial service will be held at 10:00 AM, Thursday, November 2, 2017 at St. John’s Episcopal Church. In lieu of flowers, gifts may be made to Clarehouse at 7617 S Mingo Rd, Tulsa, 74133.